The built environment has direct and indirect effects on mental health. Highrise housing is inimical to the psychological well-being of women with young children. Poor-quality housing appears to increase psychological distress, but methodological issues make it difficult, to draw clear conclusions. Mental health of psychiatric patients has been linked to design elements that affect their ability to regulate social interaction (e.g., furniture configuration, privacy). Alzheimer’s patients adjust better to small-scale, homier facilities that also have lower levels of stimulation. They are also better adjusted in buildings that accommodate physical wandering. Residential crowding, (number of people per room) and loud exterior noise sources (e.g., airports) elevate psychological distress but do not produce serious mental illness. Malodorous air pollutants heighten negative affect, and some toxins (e.g., lead, solvents) cause behavioral disturbances (e.g., self-regulatory ability, aggression). Insufficient daylight is reliably associated with increased depressive symptoms. Indirectly, the physical environment may influence mental health by altering psychosocial processes with known mental health sequelae. Personal control, socially supportive relationships, and restoration from stress and fatigue are all affected by properties of the built environment. 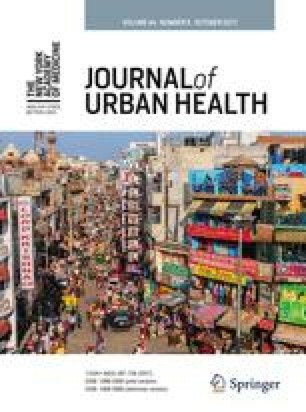 More prospective, longitudinal studies and, where feasible, randomized experiments are needed to examine the potential role of the physical environment in mental health. Even more challenging is the task of developing underlying models of how the built environment can affect mental health. It is also likely that some individuals may be more vulnerable to mental health impacts of the built environment. Because exposure to poor environmental, conditions is not randomly distributed and tends to concentrate among the poor and ethnic minorities, we also need to focus more attention on the health implications of multiple environmental risk exposure.